The construction industry can be a quite hazardous place to work in. This is why the CITB has introduced the Construction Skills and certificate scheme (CSCS) training courses designed to help workers in the industry practice safe work behaviour onsite. The Site Supervisor Safety Training Scheme (SSSTS) is a CSCS Course designed for people who intend to take up the role of worksite supervisor. Supervisors are responsible for a large part of the onsite workforce so it is important that they are armed with knowledge and skills necessary for them to maintain a safe and healthy onsite working environment. The SSSTS course is designed mainly to help supervisors assess onsite risks and the need to take steps towards minimizing them and also instructs them on how to communicate with workers to ensure that the work environment is as safe as possible. An SSSTS certification is a useful career tool for anyone working in the construction industry as a supervisor or someone who has future plans of taking up such a role. 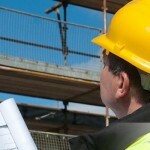 Knowledge on how to conduct onsite risk assessments. Knowledge on the causes of accidents in the construction industry and steps that should be taken to prevent them. Knowledge about how a site supervisor is expected to handle any health issue that might arise within the construction worksite. Knowledge on the role of the site supervisor in the event of an emergency. Guidance notes and approved codes of practice on the worksite. Understanding how the role of a supervisor interacts with that of the site manager in maintaining onsite safety. Knowledge on the legal requirements on health and safety on the worksite. To get an SSSTS certification, candidates will have to attend a 2-day training course in which they will be required to contribute as well as interact with other participants in the course. A good understanding of spoken and written English is the minimum requirement for enrolment into an SSSTS course. At the end of the 2-day course, participants will be required to take a multiple choice assessment examination. Upon successful completion of the assessment examination, participants will be awarded a Site Supervisor Safety Training Scheme (SSTS) certificate which is valid for five years. Like other CSCS courses, open SSSTS courses are run via a network of approved third party training centres scattered across the UK. It is also possible to have a dedicated training at a venue of candidates’ choosing provided that there are enough candidates to make this a possibility. The cost of a 2-day SSSTS course depending on the service provider and add-ons that are included in your training package. To apply for a certification, you can simply book SSSTS courses online to get a training centre close to you or alternatively call our helpline on 0207 199 9800 for additional details.